Daytona Beach is one of the most popular beach destinations in Florida, you might consider it for yourself and your family. You can choose to get a room at The Shores Resort and Spa for only $125 a night and save big on regular prices at the hotel. 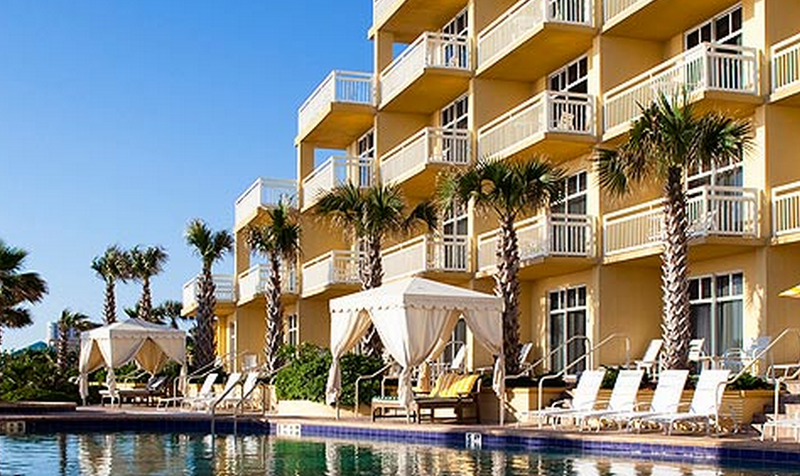 This 4 star beach resort is located in Daytona Beach, between the Halifax River and the Atlantic Ocean. Apart from the white sandy beach, The Shores Resort and Spa is close to Tomoka Marsh Atlantic Preserve and all the attractions of downtown Daytona Beach. 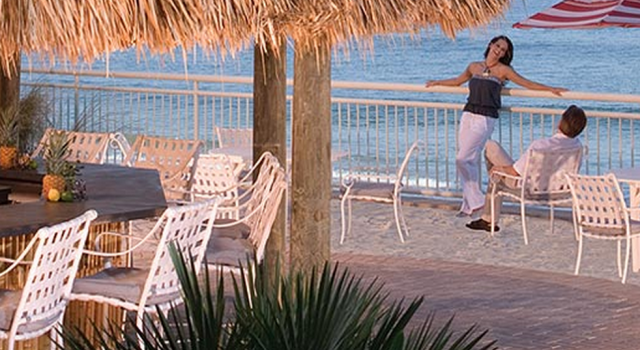 There are beautiful rooms and suites at The Shores Resort and they have spectacular river or ocean views. You can choose to have one king bed or two queen beds with 300 thread count linen but all rooms feature a mini fridge, coffee maker, in room safe, hair dryer, iron with ironing board, high speed Internet access, flat screen TV with DVD player, cordless phone and over 500 square feet of space. Rooms with one king bed have a sleeper sofa with ottoman while accommodations with tho queens have a single sleeper chair. The Italian marble bathrooms have plush robes and luxury bath amenities. 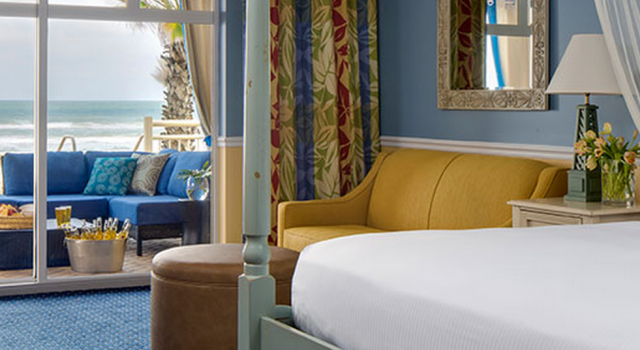 Suites at The Shores Resort and Spa all have an oceanfront terrace, sitting area with chairs and sofa, dining area for six guests, kitchenette and more luxurious amenities. Azure is the beautiful ocean front restaurant of the AAA 4-Diamond Daytona Beach hotel that serves fresh, delicious seafood and international cuisine. The spa is as amazing as the rest of The Shores Resort and Spa with six treatment rooms and lots on services on 2,500 square feet. You can find here signature rituals, day long spa packages, body treatments with indigenous ingredients, various facial care and massage therapies and more. 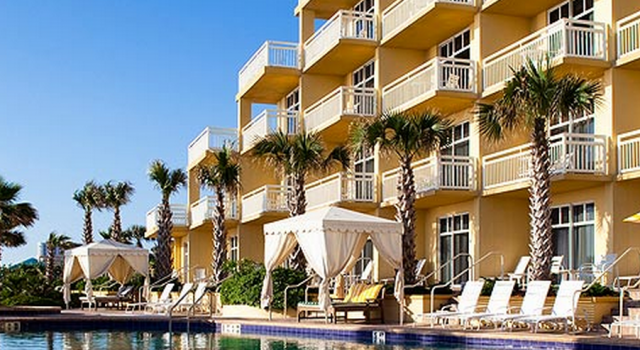 It takes only a minute or two to make sure you have got the best Daytona Beach or Florida hotel deal in this price range. Choose all the merchants you trust to compare them for your travel dates to see lots of similar hotels and pick the one you like best.